You been a successful direct sales consultant for a few years and you have decided to take the plunge and start up a team. Having a team helps you expand your business and substantially grow your profits. However, it also increases the amount of work needed. When you have team members, you have to train and supervise them. Having a team officially makes you a coach. You not only wear the hat of a business owner, you also don a coaching hat. Yes, every team needs a coach. Your team will only achieve their goals with competent direct sales team training and coaching. As a coach, you are there to instruct, motivate, and guide your team members. Whether you are working with experienced home party consultants or with rookies, you will need to offer informative team training. Meetings and phone coaching or training needs to include information about the product line, methods of marketing, proper ways to give a presentation, how to find new bookings, and how to close a sale. 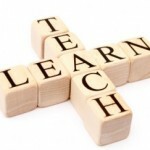 Different team members will require different levels of instruction; rookies will need more vigorous teaching while experienced direct sellers may only need a refresher course. Though instruction is absolutely essential when forming a team or adding a new team member, continuing education should also be a part of your business plan. One of the most important components of your business is marketing. No business will survive without a successful marketing campaign. To train your team members to market, you must also motivate them to market. Motivation is one of the principal ingredients in any successful direct sales team training session. You can motivate them with presentations, dynamic games, and guest speakers. Motivational marketing meetings can be held in your home, the home of a team member, at a local restaurant or in a conference room. Sometimes using the latest technology to train your team makes a huge difference in your business. 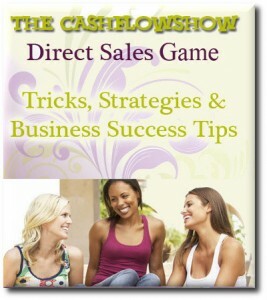 Technology like the CashFlowShow Direct Sales Training Game will make your system easy to duplicate by your new leaders and keep training simple. Putting an easy to duplicate system into place for team training and coaching will encourage your downline members to move up to leadership roles quicker due to the simplicity of the program. Once your team members have the training and the motivation, you can serve as their guide. Guiding team members consists of regular reminders, phone calls, and answering any and all questions they may have. Guiding is usually done one-to-one, and tends to be unscheduled. Whenever a question arises, or an issue exists, you need to be there to guide your team members with advice and words of wisdom. Once you have decided to add team members to your home party plan business, put on your coaching hat and do some coaching! When you train, motivate and guide your team members to success, you can consider yourself a Hall-of-Fame coach! Visit the largest FREE party plan training center to learn more about Deb Bixler and effective team training techniques. No matter the size of your home party plan business, the local Chamber of Commerce can provide you with vital support. They will also give you advice and services that help ensure your business is the success that you want it to be. If you have recently started a home party plan business, it is recommended that you join your local chamber of commerce. Your local chamber of commerce provides small businesses with the necessary advice and tools to ensure the business grows. In the last decade there has been a significant rise in the number of people starting a home party plan business. They are particularly popular among stay-at-home moms or rather work-at-home moms. A home party plan business suits work-at-home moms as this type of business typically has flexible working hours and demands the kind of creative skills that moms have. But that doesn’t mean it shouldn’t be treated as a serious business. Many large successful businesses started at home, businesses like Mary Kay, Avon, Pampered Chef, 31 Gifts and Tasteful Treasures to name a few. But none of these businesses would have grown into the successes they are today without assistance from the local chamber of commerce. A home party plan business should be treated with the same level of professionalism. If your “official” local chamber is above your party plan business budget, then you may also consider some of the niche chambers if they are appropriate. Most metropolitan areas have smaller chambers that services smaller specialization markets. 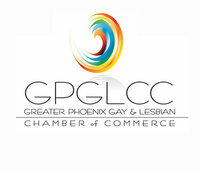 You may have as Hispanic Chamber of Commerce, a Gay and Lesbian Chamber of Commerce and more that you are not even aware of. You do not necessarily have to be gay or Hispanic to join these groups. (They will take anyone’s money.) When you join a niche chamber the important thing is that you are welcoming to that niche. As long as your business is willing to serve the gay and lesbian market (and it is a big one) then it would be appropriate to join. Of course chamber events provide many opportunities to network and in addition can be a vast source of advice to suit your needs. Both the main chamber of commerces and the niche groups provide the small business owner with a range of additional services including legal and accounting services, financial services, design and print services and office supplies. They will also have services that will help you to devise a home party business plan which helps point you in the right direction and make sure that your home party plan business is a successful venture and not a party flop. Direct Sales is one of the most popular work-at-home businesses these days. And more and more direct sales consultants are seeing a comeback in home parties. This is great for increased sales… and besides, home parties are a lot of fun! People enjoy inviting friends and family into their homes and allowing you–their direct sales consultant–to offer them products at reasonable prices, while you earn a good profit, they earn free prizes and merchandise, and everyone has lots of fun doing it! But if you’ve started holding home parties and find that you just aren’t making the income you’d like to, you can change that with a home party of your own! After you set a date for your own direct sales home party, the most important thing to help you make money is to get the word out. You can’t expect to invite a few of your closest friends over and be left with a lump of cash at the end of the party. Just as you can’t expect to hold one party and get rich. Successful direct sales party plan consultants hold several parties every month for themselves and other hostesses. This is why advertising is so important. The more people who know about your party plan business and the products you offer, the more people will show up when you hold a party. And the more people who will book parties with you themselves. There is a direct correlation as to how many guests you have in attendance and how much money you earn. As soon as you’ve set a date, begin sending out invitations. Invite your friends, relatives, co-workers, church family, and everyone else you know. Give them a flyer or a postcard instead of just asking them to “mark their calendars.” State clearly on the flyer that anyone who comes and brings a friend will receive a small door prize, or a small discount on the first item they purchase. Now you’ve invited two people for every one flyer you’ve handed out! After inviting the people you know, expand your contacts. You can invite people you don’t know in a number of ways. Leave brochures at the grocery store or pin up flyers and posters wherever you see public bulletin boards. Leave a stack of flyers at different churches if they will allow it. Drop some off at the doctor’s or dentist’s office. You might even consider taking out a small ad in the newspaper advertising your next home party. Once you’ve handed out flyers and made phone calls, you can start to focus on how you’re going to make money at the party itself. The key lies in having fun, and making sure your guests do, too. Providing plenty of simple food and drinks at your home party is a no-brainer key to having fun. People feel more at ease if they have something to munch on or a cup of coffee to sip on. Make sure there’s lot to go around and people will automatically start loosening up and enjoying themselves. Standing in front of a group of people and telling them about your products can be nerve-wracking. Just remember to relax, remain calm and enjoy yourself. No one wants to sit and listen to a boring lecture on your product for an hour or two. By the time you’re done, no one will be interested in hanging around to buy your products; they’ll just be wondering how quickly they can make their exit. But if you have fun, laugh with your guests, and really open up and talk to them, everyone will be more at ease and no one will want the fun to stop! It’s tempting to want to hold the product for all your guests to see. But guests will be much more interested in the product if they can hold it in their own hands and look at it and explore all the things it does. Of course, you can explain everything your product can do while the guests are passing it around. But letting them touch it and hold it themselves will increase their interest in it. And they’ll be more likely to want one for their very own! Having fun at your home party is the biggest advantage you can give yourself when you’re trying to turn a profit in direct sales home parties. So invite as many people as you can and make your party fun. You’ll appear less “showy,” and it won’t seem as though you’re trying to push your product on anyone. You’ll simply be showing your friends that you have a great product line and you want them to be the first ones to know about it. What do you do with your old catalogs? Be creative and create a catchy phrase that will grab attention. Follow it with your name and phone number and a call to action. Such as “Call me to schedule a show or get a current catalog!” Then print out the stickers or labels and place them on the front of the old catalogs. You can find bookings by distributing the catalogs all over town. Put them everywhere that people are waiting in queue or for their turn. Go to medical and dental offices, hair salons, mechanics, garages, nail salons, the bus and train station, etc. Put them everywhere and anywhere that people sit and wait. This is just one of many bookings tips that will bring in new business. It will not fill your calendar but it will add a booking here and there. Deb Bixler provides party plan seminars and training that teaches systems to create consistant cash flow from your party business. Using all the sources of finding bookings available to you will ensure that you have a full calendar. Deb Bixler’s tele-seminars provide an unlimited opportunity to find bookings and create party plan systems. Check out this sample of the FREE seminars with the FREE ebook for home party plan games that create more bookings. Looking for some fun for your next direct sales party? Play a game or two! Here are some simple games that will fit most any theme party or direct sales product line. Add other ways to earn as you wish. Set an ending date about six weeks out and keep your hostesses informed. Promote this at every party and tell all former hostesses about it. This is a great way to build your bookings. Offer a special gift (maybe something discontinued or that is unavailable any other time) to your hostess who has the highest amount in retail sales during a specific month. Use this during slow times to encourage more bookings. Get your hostess in the party spirit with a Hostess Scavenger Hunt! Here is a list of different types of people. Give this to every hostess and if she can get 10 of these to her party, she earns a special gift. Of course, each person can only count for one category. Use an auction party to increase bookings as well as sales. Make some play money and have at least two prizes for every five party guests on hand and wrapped so guests don’t know what’s inside. After the product demonstration and after everyone has placed their orders, begin the auction with the highest bidder winning each item. You already know that networking is the lifeblood of your business. You do it every day when you book a show, sponsor a new recruit or sell your products. The world wide web can be an excellent resource for those involved in direct sales. Think of networking online as an additional tool that will help you grow your business. Online forums can be great places to meet new people and create relationships. Wahm.com and internetbasedmoms.com are two forums where you can meet and network with other moms/women. You’ll find moms with successful businesses that can answer your questions as well as those that are searching for their own home based businesses or just looking for the products you are selling. When networking on online forums it is always best to start by creating relationships. Interact with the members of the forums without expecting anything in return in the beginning. Be genuine. Be mindful of the rules and regulations of each forum that you decide to visit. Not only with this save you from doing any unauthorized advertising, it will help you build a solid reputation as a business owner. Twitter.com is a powerful social networking site where you can connect with others. It’s easy to create relationships by joining in the conversations of the people you choose to follow. You can ask questions, share information and make new friends. If you only choose one thing to do with your online networking Twitter should be the one you choose. As with online forums, be mindful of the rules and don’t start twittering with the sole intent of spamming the site with your advertising. If you are able to write quality, informative articles about your product then you should consider article marketing to establish yourself as an expert in your field. After you’ve written the articles submit them to article directories with free reprint rights and an author biography that includes your site name and link to drive traffic to your business. Website owners will use your articles on their site but since your information is included in the article, people will coming looking for you and your products. Squidoo.com is also a social networking site. Use Squidoo.com as a tool by creating lenses, which are basically short articles on any topic that you care to write about. This can be an excellent way to establish yourself as being very knowledgeable about the products or service that your business has to offer. Squidoo can be useful by driving potential customers to your websites. Email groups, like those offered by Yahoo, are another option for online networking. Search for groups that might fit your business. “Work at Home Moms in Wisconsin”, or “Moms in Home Business” would just be a couple of examples of the types of groups that you should keep an eye out for when looking for email groups to join. Whenever using one of these tools be sure to look for ways to be a useful contributor and supportive friend wherever you choose to network and you will be well on your way to building your business in no time at all. Congratulations, you’ve decided to start sponsoring team members to increase your income. A well-motivated sales team can be the cornerstone of a successful direct sales career and gives you the potential for great financial benefits as an up line leader. As you continue to build a good sized sales team you’ll need to think of ways to help keep them motivated so that they continue to have fun with what they are doing and be able to build their own successful direct sales business. Starting a team newsletter is a great way to motivate your team. In a newsletter, you can offer general business tips, words of encouragement, theme party ideas, ways to get booking and ideas to increase sales. You might also include information about company or personally sponsored contests for your group, along with recognizing your top sellers or recruiters for the month. Let your team members participate by selecting a few contributors each month to share success stories or ideas. Everyone likes to see their name in print. We all like getting mail so why not let your team members know how much you appreciate them by sending a card on their special occasions? Remembering things like wedding anniversaries, birthdays or even a consultant that has had an exceptional sales month will let your team members know that they are special to you and not simply a number that you recruited for your own personal gain. If you don’t already offer team training and/or incentives to your down line now is the time to think about it. While not everyone will be motivated to perform by incentives there are a lot of people that are. Whether your new recruits are direct sales pros or delving into their first experience, training is always a good thing. If most of your team is local to you think about hosting monthly team meetings that offer training, opportunity presentation, team awards and product displays. If your team is scattered around the US or even the world, then consider using a conference call line with weekly and/or monthly meetings with an outline similar to the local meeting. Offering incentives to your team might help them reach their sales goals. Offer things like sales aides (order forms, catalogs, etc…), company logo items, or products if they meet required goals like booking so many parties in a month, making so many sales phone calls, or meeting a certain amount of sales. Create your office hours and let your team know they can call you at any time during them. Nothing is more motivating to your team members than knowing their problems or questions matter. Supporting your team can mean the difference between success and failure to your direct sales business as well as those of your team. Using these tips will help your form a sales team that really loves what they do, which means success for everyone. One of the secrets to having a great show or party is to make sure your hostess is excited about the product, motivated to get her hostess perks and encouraging her guests to have fun and buy lots of stuff while they’re looking at the catalog. The same holds true if your hostess has her party online. To make sure she is both comfortable and excited with an online party simply follow these steps. Let your hostess know about all the free and discounted stuff she’ll get for hosting a show. If you haven’t already, surprise your hostess with a thank you gift at her party. It can be something as simple as a votive and dollar store candle holder but it’s a nice touch and your future hostesses will look forward to their little gift. Help her become enthusiastic by having her create a list of products she’d like to have and then help her get them. Sometimes it helps to offer your online hostess an extra incentive to go out and get those extra sales. Is your hostess “this” short of the minimum party or the next level of hostess perks? Do you have a sales or booking goal? Set a goal for your hostess to have a certain number of guests at her party or a certain number of sales or bookings prior to the show. If there a particular catalog item she’s interested in or if she is just short of her goals think about holding the party open a few more days so she can meet her ( and your) goals. Offer the hostess the item that she wants if, and when, she meets your challenge. Help your hostess out by giving her everything she needs to make her party a success. Include extra order sheets, catalogs and any incentives offered in her hostess package. Maybe even include a checklist for her and give her a small gift if everything is checked off prior to the start of the party. Keep in touch with her and help her out if needed. Offer to mail her invitations for her if she gives you a mailing list. This is also a good source of future leads for you. 😉 If she is too busy or uncomfortable making reminder calls then offer to help her with them. Giving your hostess guidelines and then helping her follow them has the possibility of increasing both your sales and bookings making your hostess happy when she gets all that good stuff. Everyone likes to win stuff so plan some super simple games and giveaways during your hostess’s online party. Consider having a drawing with everyone that makes a minimum purchase of $50 or more if you have a small product to give away. Everyone will have fun playing the games that you have set up and your hostess will have a blast racking up sales to put toward getting free items. For more online party inspiration an internet search should provide you with a ton of ideas that will make for a wonderfully fun party for your hostess and will create a profitable party for yourself. What Can My Up Line Do For Me Anyway? January 8, 2009 · Filed Under Direct Sales Marketing · Comments Off on What Can My Up Line Do For Me Anyway? Choosing the correct up line leader is one of the smartest moves that you can make when you decide to get into the direct sales industry. The person you choose as your leader is the person responsible for teaching and mentoring you. Make sure you choose someone you like and respect as well as someone that will be able to mentor you effectively, after all, you’re making them money, too. Most successful direct sales consultants that you speak with will tell you that they feel their choice of sponsor played a large role in the overall success of their direct sales business. Once you’ve decided on your sponsor or up line leader, it’s important to stay in touch with them to make sure you’re receiving the benefits of having a successful up line leader. Proper training is essential to the growth of your business. If this is your first venture into the direct sales world your up line leader will be your business life-line. For example, your up line can answer any questions that you might have on how to navigate through your company’s online ordering system, or how to get your discount on personal orders. If at any time, however, you feel your up line isn’t training you correctly or you don’t get a response from them, make sure to contact their up line for the correct information. Your up line will be able to guide you through the company’s policies and procedures as well as show you the many hints, tips and tricks learned through her experience. Ask if you can shadow some of her home shows and take notes on her presentation. Your business won’t thrive if you don’t promote it. A successful up line leader is experienced in marketing and promotion of your business. Use her knowledge of the company’s marketing materials and promotional tactics to find out what would work to help you build your business. She can help you develop a plan of action that will help you build momentum with your booking and income goals. Make sure that the goals you’re setting are goals that meet your needs – not just the needs of your up line. Your up line can also help you develop a plan of action so you can go out and book parties and make the income goals that you have set for yourself. Your up line will also help to fill you in on your company’s policies for marketing your business online. Like a building is only as strong as its support beams, you need support so your business won’t collapse. One huge reason you should stay in touch with your up line is the moral support and encouragement that she can offer you. This can make a huge difference in the success of your direct sales business. When you feel that you have someone that believes in you and is just as excited about your business as you are your confidence, as well as your business, will grow. It’s important to have a good relationship with your up line. She has the experience to help you get through the hard times of building your business. For instance, if you lose momentum, she can give you hints and tips to fill your booking calendar or make more sales. Staying in touch with your up line when you join a direct sales business is essential to the growth of your business. It’s important to find a sponsor that is actively working her business and is genuinely interested in signing you up and helping you grow a business so that you can be successful in meeting your goals. The Internet provides direct sales business owners a very simple and convenient way to stay in touch with their clients. When you are involved in direct sales, keeping in touch with your customers is an excellent way to ensure good customer service. And good customer service means they might be more willing to book a party with you and make repeat purchases. If you keep a list of your customer’s favorite products you have an excuse to let them know about any sales you have, too. Here are a few ways that you can use the technology of the Internet to keep in touch with your customers. Start a blog to keep in touch with your customers. A blog is basically an online journal and a great place to inform people about what is happening in your business. Include informative articles related to your product and your customers will see you as a valuable resource. Use your blog to keep your customers informed of product specials that both your company and you personally are offering and allow them to make comments about your posts should they have any questions. WordPress and Blogger are two popular blogging platforms to try if you don’t already have one. We recommend MomWebs.com hosting with a WordPress.org blog. Start your own online forum to communicate with your customers. Starting a message board is simple to do and you could even incorporate it with your blog. Having different forum threads to deal with customer questions on specific products, customer complaint issues, product specials or just chat with your customers about any topic could be a great resource especially if you have a large client base. Similar to a forum an email discussion group like the ones available through yahoo or google is yet another way that you can keep in touch with your customers. You can make your group available for discussion or use it to release a monthly or even weekly newsletter to inform your customers about your business. A mailing list should be the first thing you start after opening your doors for business. Pass out information cards or forms to each guest at your parties and make sure they give you permission to add them to your list and contact them. You might even include a box on your form for specific items like receiving a monthly newsletter or special sales notices. Be careful how you use your mailing list so you aren’t considered a spammer. If you’re unsure of what spam is do a quick internet search and study up. It will be worth your time. We recommend Aweber.com as a mailing list management system. There are many tools technology has provided the home based business owner and these are just a few of the more common ones. Don’t be afraid to use them to grow your business.